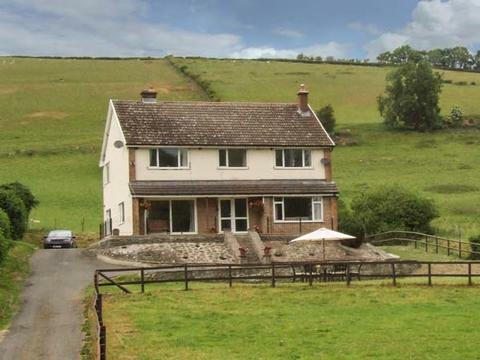 A wonderful, detached farmhouse on a 400-acre sheep farm near Knighton, close to the English border, with five bedrooms accommodating 10 people, one super-king size double, two doubles (one with en-suite) and two twins. 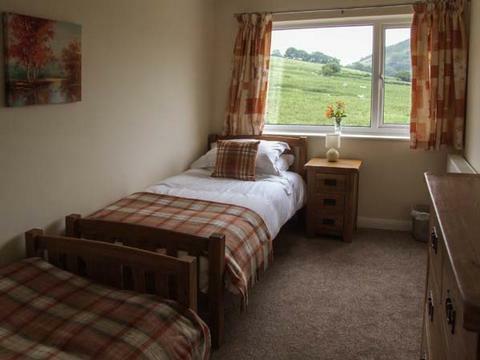 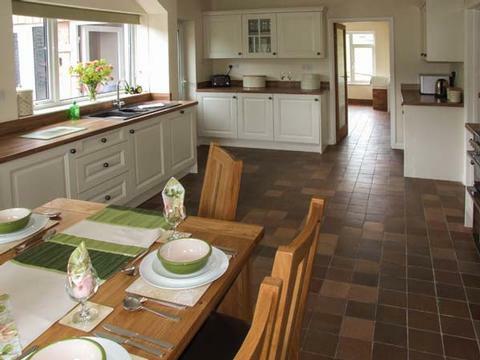 Cwmgilla Farm is a wonderful, detached farmhouse just outside Knighton and close to the English border, set on the owner's 400-acre sheep farm. 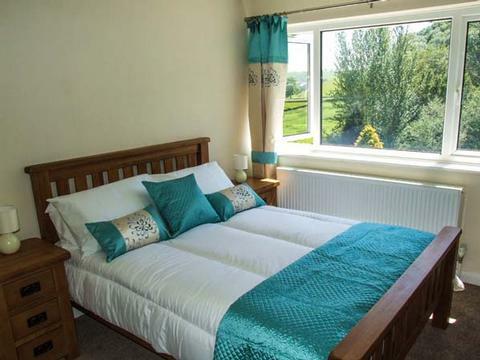 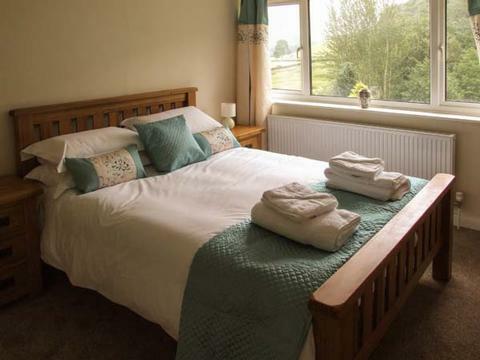 The farmhouse has five bedrooms; a super king-size double, with the option of becoming a twin room on request, two double bedrooms and two twin rooms. 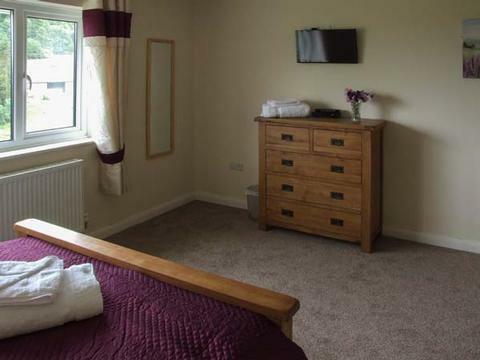 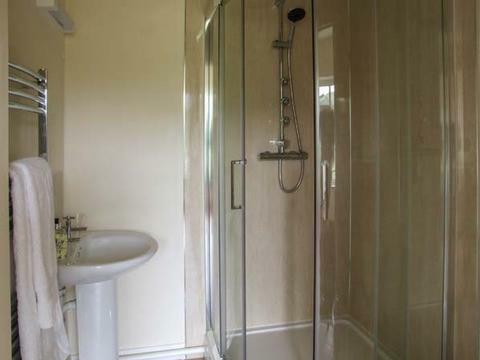 One of the double bedrooms enjoys the luxury of it's own en-suite shower room, and there is a bathroom on the first floor along with a separate wc, plus a further shower room on the ground floor. 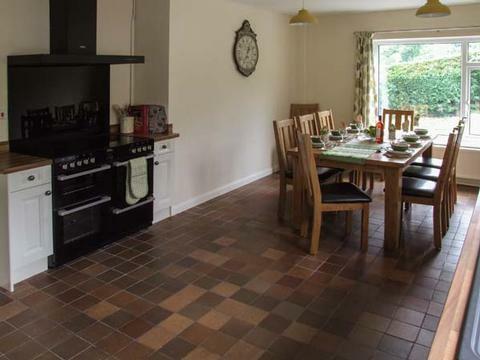 The farmhouse kitchen is well-equipped with a dining area for 10, and the comfortable sitting room seats seven, kept nice and cosy by a woodburning stove. 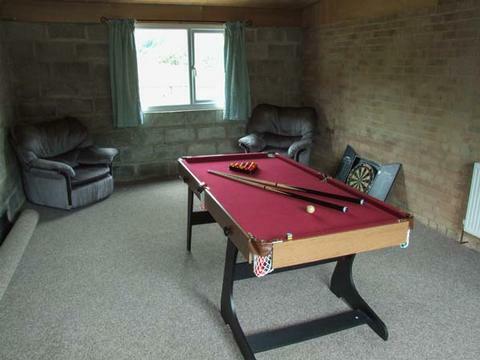 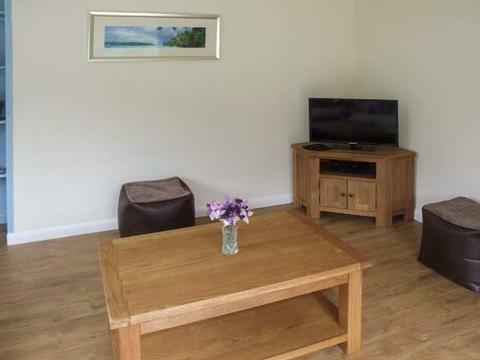 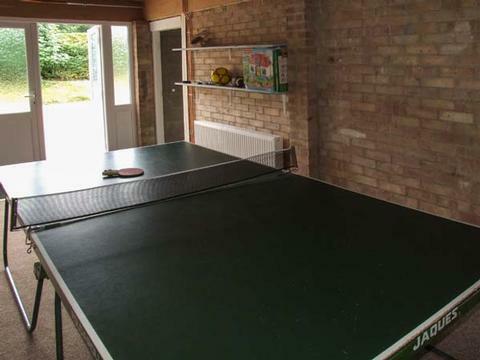 There is also a snug with seating for four, and a games room with table tennis and a pool table. 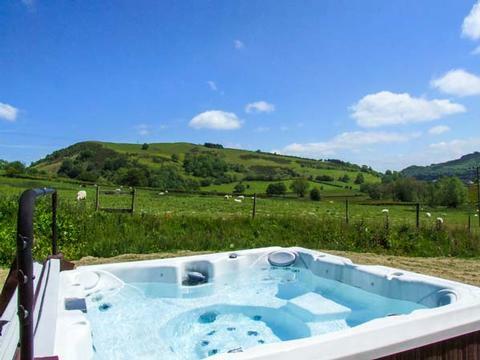 When the weather is fine, venture into the lawned garden, where you will find a patio with furniture and a hot tub. 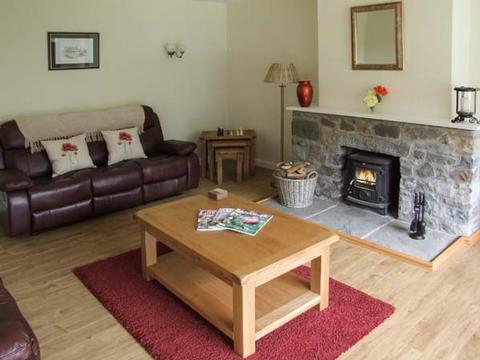 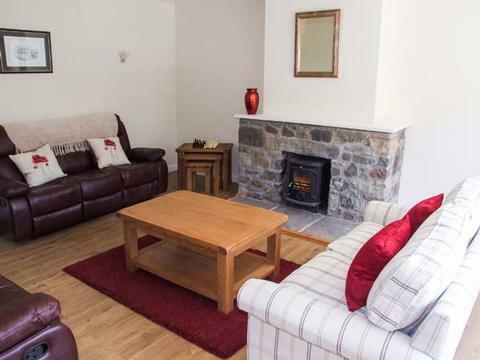 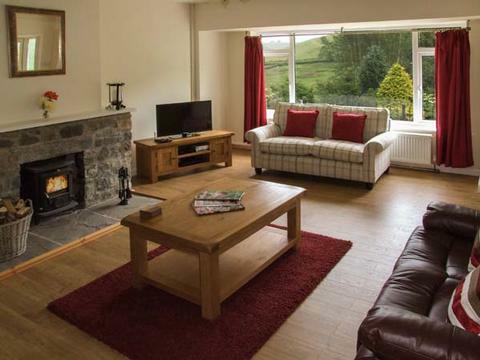 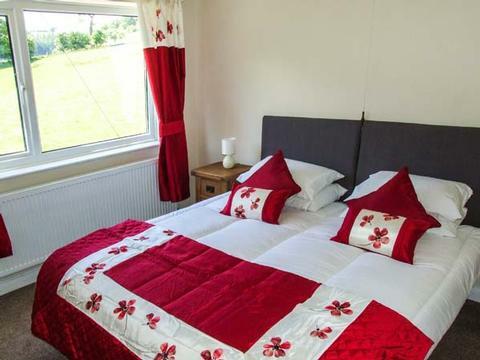 If you're looking for a luxurious, relaxing break or a walking holiday, Cwmgilla Farm is the one for you! 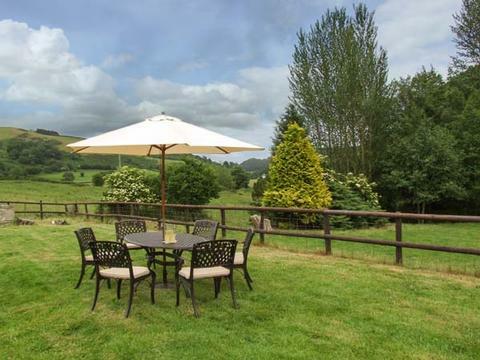 The charming market town of Knighton nestles amidst lovely countryside on the banks of the River Teme which straddles the English/Welsh border. 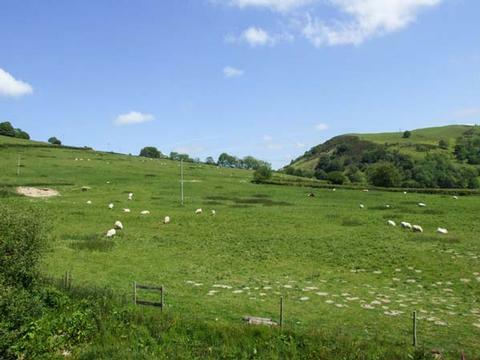 This is a renowned location for walking, riding and cycling. 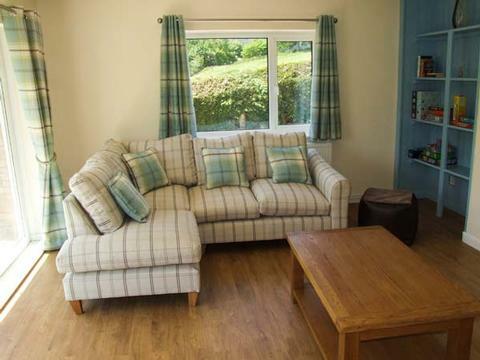 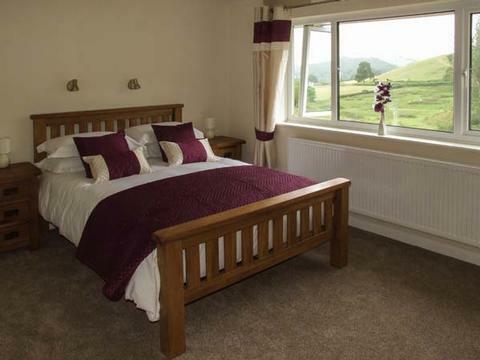 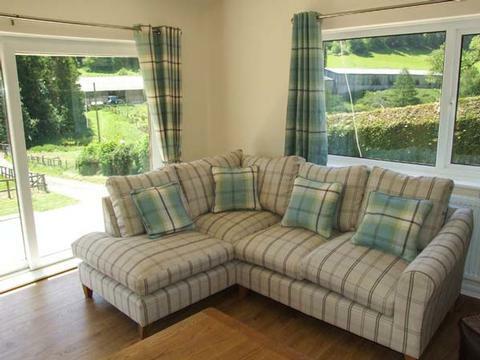 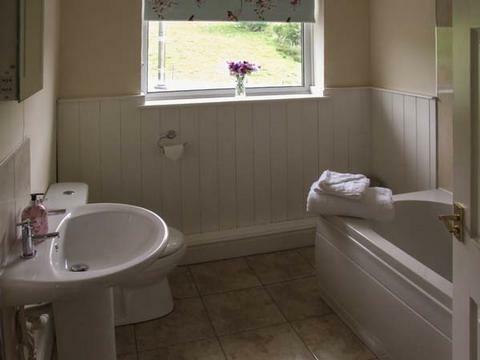 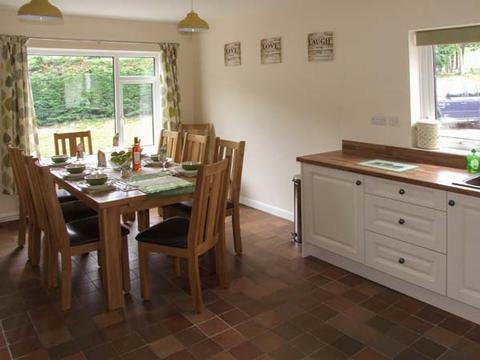 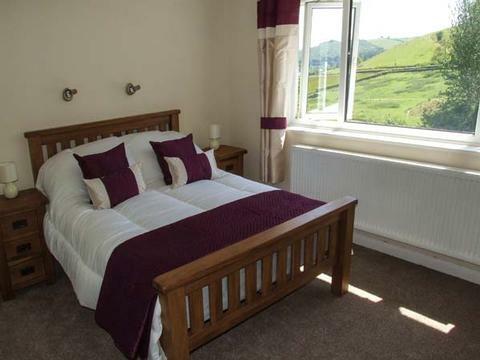 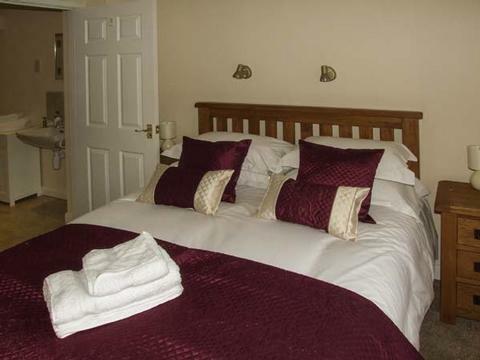 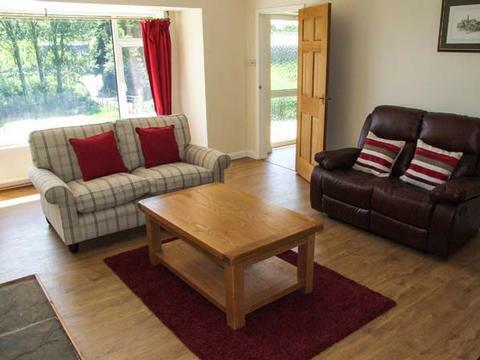 Contact Cwmgilla Farm Self Catering Cottage Knighton Wales > for Enquiries and Availability.